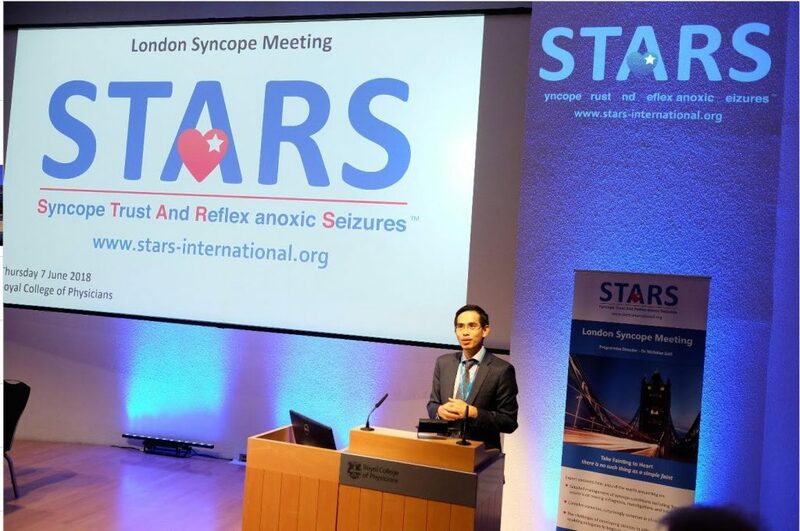 Dr Boon Lim was invited to speak at the STARS Syncope Day held at the Royal College of Physicians in Regent’s Park, London on the 7th June 2018. Dr Lim spoke about diagnosing and treating vasovagal Syncope by means of appropriate testing. He spoke about the role in particular of tilt testing, and what tests physicians should be focussing on, and importantly, what tests not to perform.